The MH60C incorporates premium carbide tools with a new body shape for greater impact strength and longer life. A new staggered-tool pattern also reduces power draw, while enabling faster cutting and increased production. In addition, the new two-speed hydraulic motor with faster rotor speed (2,200 rpm) provides 30-percent more torque for cutting through tougher loads with faster drum-speed recovery. An optional hydraulic oil cooler kit is available, however, if you work in very high ambient-temperature conditions. 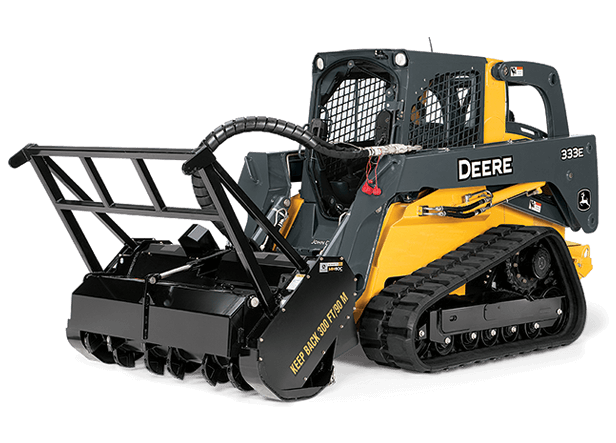 Like all Worksite Pro™ attachments, this mulching head is optimized to work with John Deere skid steers and compact track loaders. See your local John Deere dealer for details.